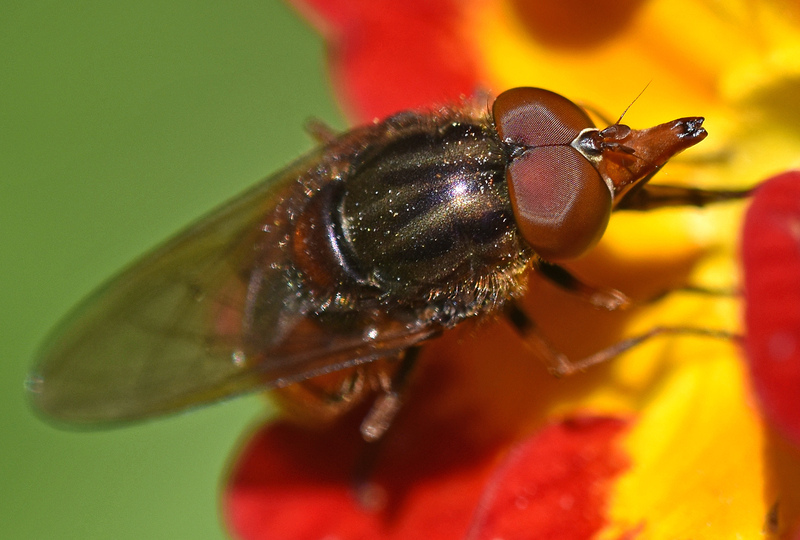 Black-rimmed snout hoverfly: the Heineken Fly! 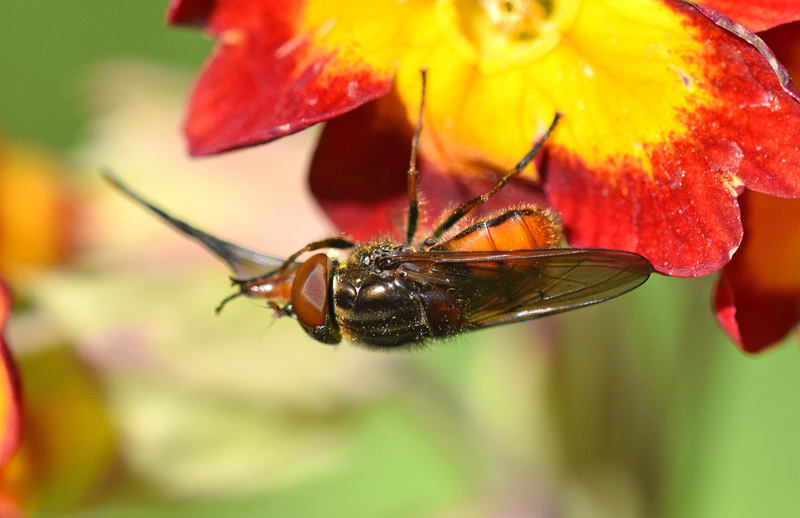 The Black-rimmed snout hoverfly, Rhingia campestris Meigen, 1822 (Diptera: Syrphidae) is a common and widespread fly which is often seen visiting flowers or resting on nearby vegetation. The larvae live and develop in cow dung, whilst the adults feed on nectar and pollen. Pollen is required by the females as a protein source for egg development; nectar is needed by both sexes, and as such they are important pollinators of flowers, specialising in species such as bugle (Ajuga reptans), red campion (Silene dioica) and spiked rampion (Phyteuma spicatum). (1, 2). 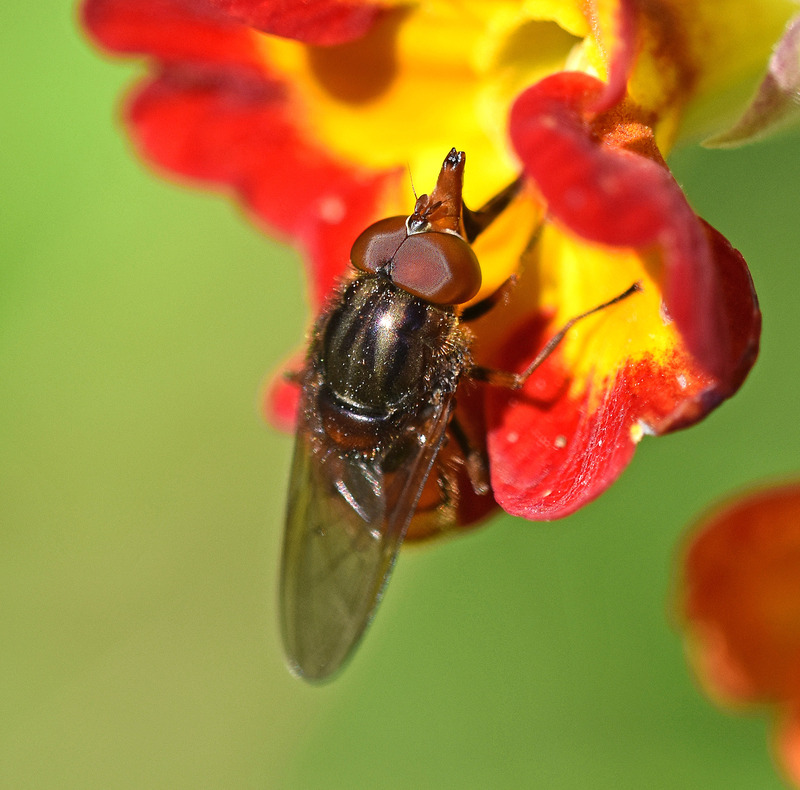 This distinctive fly has a long, stubby, duck-billed shaped, snout and an extendable proboscis, as long as its body (7–11 mm). 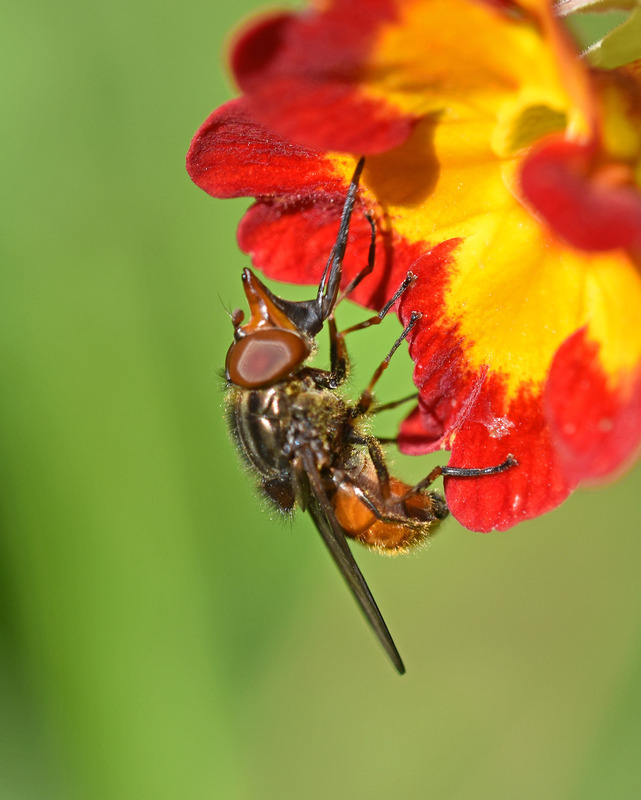 It also appears to have been given the name ‘Heineken fly’, after an advert on UK television, because it can supposedly reach the parts of a flower that other hoverflies cannot! I prefer the traditional name: Black-rimmed snout hoverfly. The black rims refer to the black margins of the tergites: the sclerotised plates on the dorsal (upper) sides of each abdominal segment. The similar, conspecific species, R. rostrata, lacks the black margins. Rhingia campestris cleaning proboscis. Note black-margined tergites on abdomen. An organ, if that’s what it is, of this complexity and functional importance to the fly must be cleaned and looked after. The proboscis, when not in use, is folded up and stored within the snout, as can be seen in the very high magnification photograph in link number (3). I wonder if anybody has studied the proboscis in detail and worked out exactly how it is extended and folded up? The following photograph is not very good, but is the best one I have of the extended proboscis in side view. The proboscis is clearly a complex structure and one that must have evolved to allow the fly to access deep nectar sources. Kooi, C. J., Pen, I., Staal, M., Stavenga, D. G., & Elzenga, J. T. M. (2016). Competition for pollinators and intra‐communal spectral dissimilarity of flowers. Plant Biology, 18(1), 56-62. Next Next post: A trick of the tail! 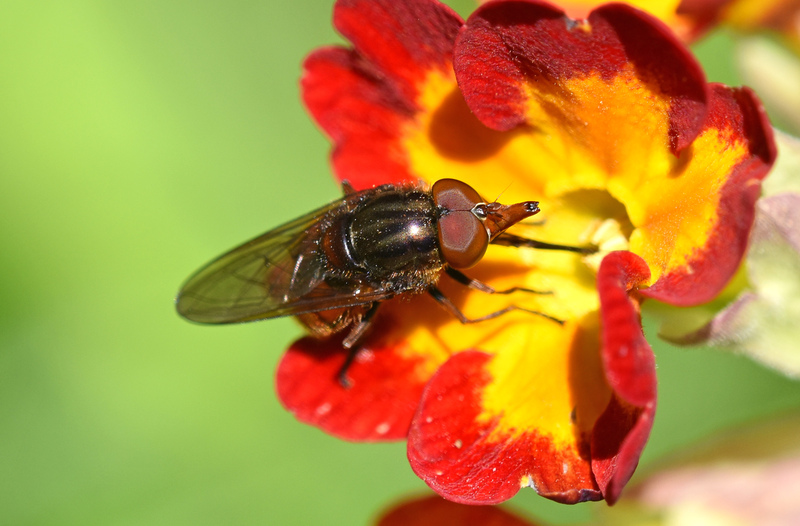 Ray Cannon's nature notes Black-rimmed snout hoverfly: the Heineken Fly!